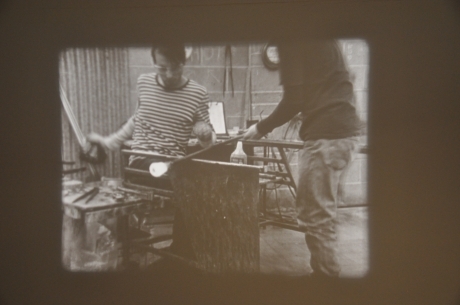 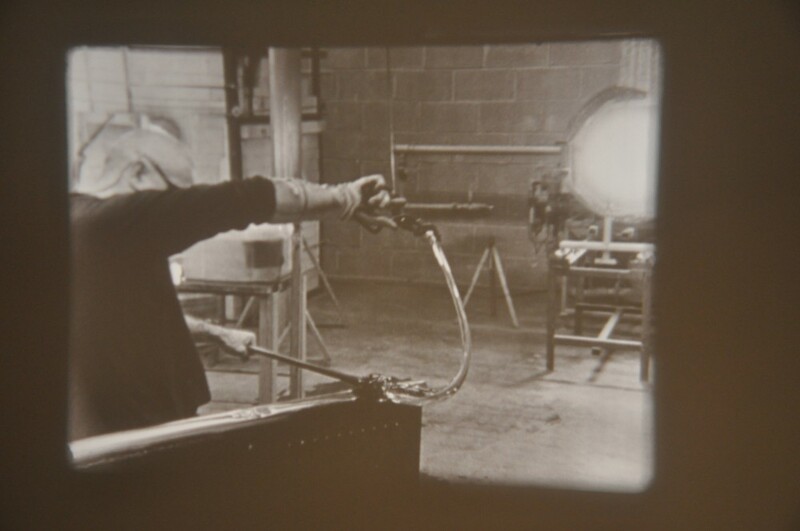 In his new 16mm film Glass Struggle, Mat Fleming documents his attempts to master a technique in order to hand-make a series of hammer and sickle editions in glass; together these tools symbolise the ideal of unity between industry and workers. This new commission is part of the exhibition Work Force at the National Glass Centre. 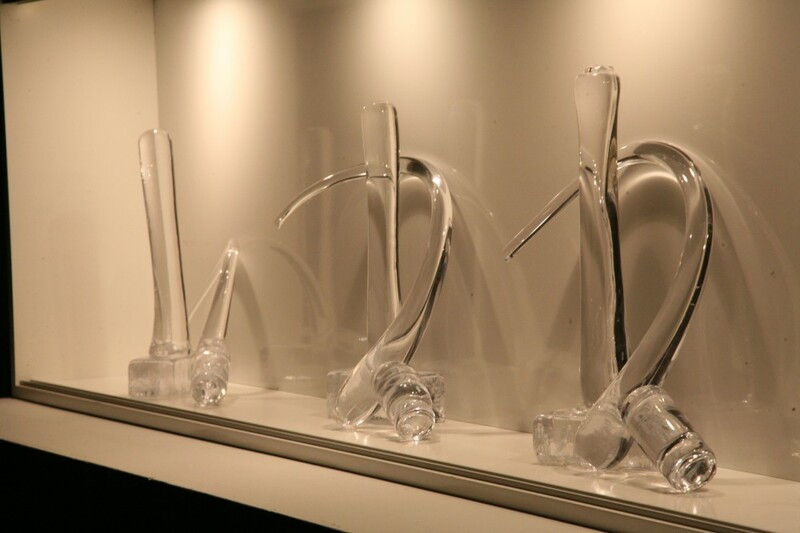 The exhibition draws together historical representations of labour in the industry of glassmaking through films from the 1970s to present day, and also includes work by filmmaker John Smith and Amber Films. 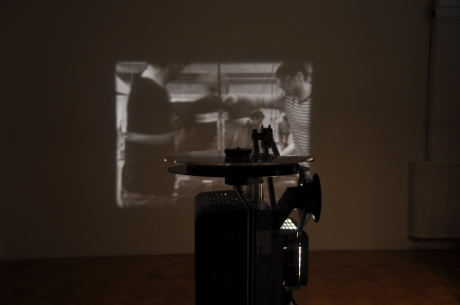 Mat Fleming has been making films since he was 18 with a special enthusiasm for 8mm and 16mm film. 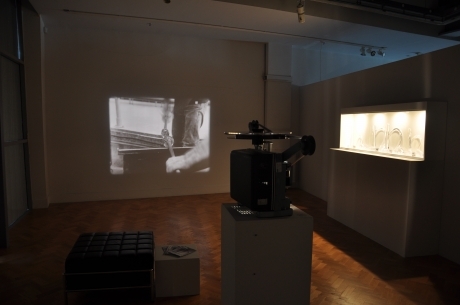 In 2001 he co-founded Cineside at the Side Cinema and then the Star and Shadow Cinema collective. The Star and Shadow Cinema operates in the Ouseburn valley in Newcastle. It is one of a small number of venues around the world re-inventing cinema, championing independence and diversity and community ownership in cinema. 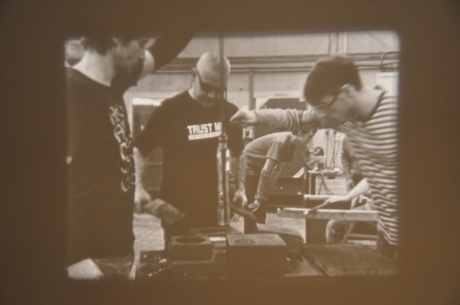 Co-commissioned by AV Festival 10 and National Glass Centre. World Premiere.